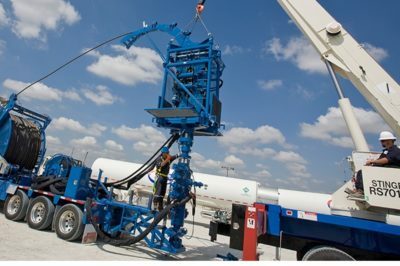 The Oil States Energy Services Thru-Tubing group with the HydroPull™ tool was called out to replace a competitive downhole coil agitation tool that was unable to reach bottom because of insufficient power, leaving 5 plugs in the bottom 1,000 ft. of the well. 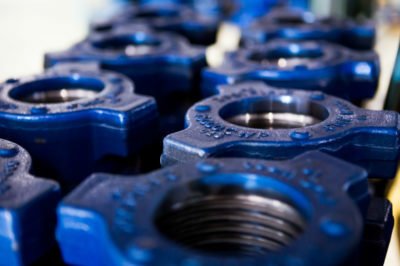 The competitive tool experienced friction lock up at 14,315 ft. MD, even while pumping lubricating chemicals consisting of 10 bbl Ultra-lube slugs (2.5 gal per bbl.) every 50 bbl and 1 ½ gallon per 10 bbl during the operation. The plugs were tagged at 14,578 ft., 14,794 ft., 15,013 ft., 15,242 ft., and the last plug at 15,471 ft. MD. 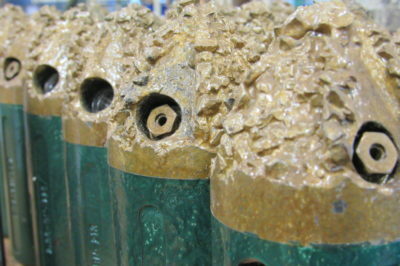 The average plug mill time was 5 minutes and the wash time between plugs was 21.4 minutes. The well was finished at PBTD with 8,000 lbs. running weight at a speed of 10 fpm. The total time from RIH to POOH on this job was 5.5 hours. 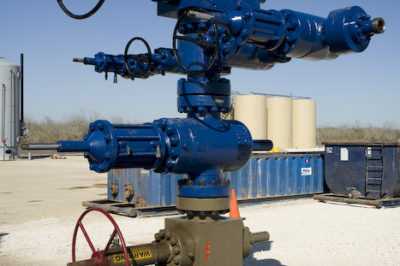 The second well on this pad produced similar results with OSES and the HydroPull replacing the competition after they left 6 plugs in the well. 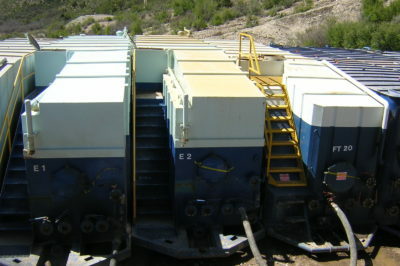 OSES rigged up with the HydroPull and reached bottom with the same reduction of chemicals and ending with 5,000 lbs. running weight at 7 to 10 fpm. 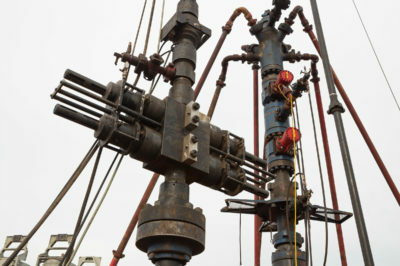 The Operator relieved the competition on the third well on the pad and the HydroPull milled all 29 plugs plus a kill plug with positive running weight and significantly less chemicals used, saving the Operator ½ day on the overall operation amounting to approximately $60,000.